You know the authorsвЂ™ names. You recognize the title. You've probably used this book yourself. 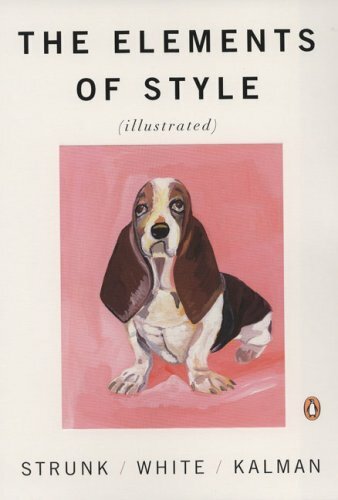 And now The Elements of StyleвЂ“the most widely read and employed English style manualвЂ“is available in a specially bound 50th Anniversary Edition that offers the title's vast audience an opportunity to own a more durable and elegantly bound edition of this time-tested classic. Offering the same content as the Fourth Edition, revised in 1999, the new casebound 50th Anniversary Edition includes a brief overview of the book's illustrious history. 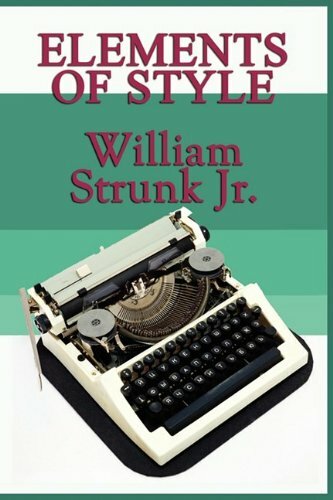 Used extensively by individual writers as well as high school and college students of writing, it has conveyed the principles of English style to millions of readers. This new deluxe edition makes the perfect gift for writers of any age and ability level. В В В В В В В В В В В В В В В В В В В В В В В -- Henry Louis Gates Jr.
"To the extent I know how to write clearly at all, I probably taught myself while I was teaching others -- seventh graders, in Flint, Michigan, in 1967.В I taughtВ them withВ a copy of Strunk & White lying in full view on my desk, sort of in the way the Gideons leave Bibles in cheap hotel rooms, as a way of saying to the hapless inhabitant: вЂ�In case your reckless ways should strand you here, there's help.вЂ™В S&W doesn't really teach you how to write, it just tantalizingly reminds you that there's an orderly wayВ to go about it, that clarity's ever your ideal, but -- really -- it's all going to be up to you." "Eschew surplusage! A perfect book." 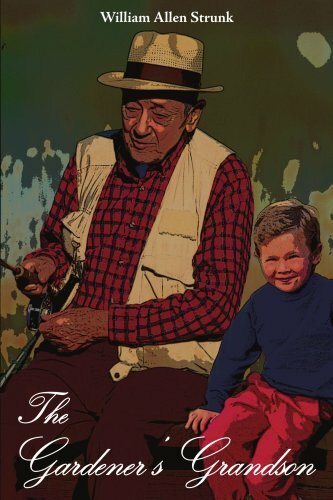 most everything I would be teaching young writers, and everything I would be learning myself as a writer, was contained between the covers of this slim, elegant, wise little book." вЂњSince high school, I have kept a copy of this book handy. That should be unnecessary. I should, by now, have fully internalized The Elements of Style. But sometimes I get entangled in a paragraph that refuses to be вЂ�clear, brief, bold.вЂ™ I dip back into The Elements of Style and am refreshed. В В В В В В В В В В В В В В В В В В В В В В В В -- Roy Blount Jr.
вЂњStrunk & White--writing's good-natured law firm--still contains enough sparkling good sense to clean up the whole bloviating blogosphere." This book should be a staple in anyone's personal or business library. The book offers everyone today a bible in the proper way to write in any situation you are presented on a daily basis. This anniversary edition of a key style and grammer manual arrived in excellent condition and in a timely manner without any shipment or condition problems.As to the book, I highly recommend its useful and insightful breakdowns on the English language and its easy to read explanations of the various, and otherwise sometimes complex, English language. This item was recieved MUCH quicker than was told or than I anticipated. The book arrived in absolute perfect condition and has been extremely helpful to me in my university class. I actually would have enjoyed the read even had it not been a college requirement, as it is definitely written very well. If your looking here you must have an interest, so do yourself a favor and pick one up. You won't regret it at all. A wonderful read of what's right and what's wrong in constructing English sentences. When I read this book in high school English, I had no idea how much it would influence my life. I would never have thought that this book needed illustration; in fact, I think I would have wondered what in the world the illustrations could possibly be represent. Yet Kalman's images work with it effortlessly, perhaps because they offer a counterpoint to the prose rather than an attempt to depict it literally. I didn't see the "exuberant, rioutously colorful" quality referenced in "booklover 10's" review here on Amazon; though they are certainly colorful, the images seem more subtle than that to me, always whimsical but sometimes a bit plaintive, if also sometimes obviously funny. Much of the appeal of this particular marriage of authors and illustrator is the disjunction between the text's emphasis on detail and accuracy and Kalman's deliberately naive and simplified (yet always resonant) renderings. I guess you could say that I've had to do an about-face: hard as it was to imagine the book with illustrations before this edition, I now find it almost impossible to imagine it without them. This book also inspired me to explore some of Kalman's other work; those who enjoyed the illustrations here may also find her And the Pursuit of Happinessand The Principles of Uncertaintya pleasure, as I did. Quickly sent; immaculate copy. Charming illustrations sent fellow book discussion group members to Amazon for their own copies. Wonderful book, timeless advice... plus Maira Kalman!! Her exquisite illustrations pair wonderfully with this major classic. This book is perfect for anyone that needs a refresher guide after being out of the classroom for a while. I have put it to good use in my writing/composition courses. Highly recommended! This review is for the "original edition." I ordered this not knowing what was meant by "original edition." It turns out the text was greatly expanded in later editions, so this one is missing much surely useful content. The quality of the printing is also crap. What's there is very good, extremely concise (perhaps too much so) English grammar advice, but the more recent editions are a much better choice. This book has been around for a long time; and its an essential to any writer's library, of course the later edition done with white, is a lot longer and a more in-depth, you'll still satisfied with the quick and easy read. THIS WAS A REPLACMENT COPY I GAVE AWAY THE LAST COPY I OWNED. PRACTICAL BOOK. GOOD FOR REFERENCE. ARRIVED ON TIME, AS EXPECTED. This book is a handy reference for anyone who is uncertain about the various aspects of writing - sentence structure, punctuation, etc.It particularly helps in the editing process with the classic advice "omit unnecessary words" and gives writers a time-tested guide to expressing thoughts clearly in written form. this was a black and white film that was a hard to find movie. But I needed it for a school assignment. Amazon made it easy to get. And worth watching. 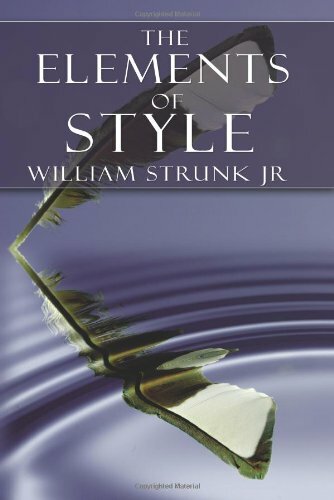 To the many endorsements of The Elements of Style over the years, I can add my unreserved approval as its being the most helpful book for anyone who needs advice on punctuation and/or style.It is blessedly short and to the point; students will read it as opposed to the long textbooks familiar to teachers of college writing. The book has been around a long time, but perhaps that recommends it rather than encourages suspicion.I discovered this book as an undergraduate and have used it throughout my university teaching career. 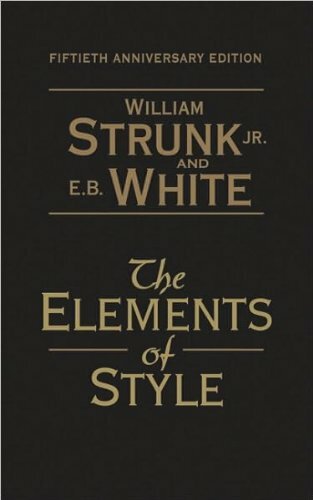 The Elements of Style by William Strunk Jr. and E. B. White. 3rd edition, with revisions, an introduction, and a chapter on writing by White. This book has its origins back in 1919 and was known as "the little book" by the students who used Professor William Strunk Jr. textbook, a slim volume called `The Element of Style' first published in 1935. 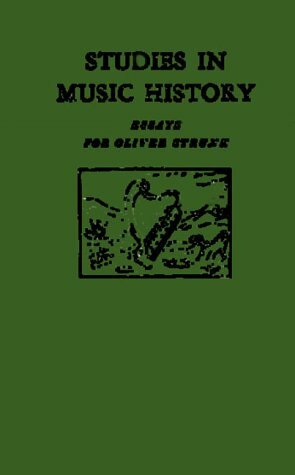 In 1957, the book was republished and a second edition in 1972, with the 3rd edition, (1979) having revised chapters and a helpful index. The book is hardback, with just 85 pages plus index and is crammed full of helpful, useful and essential writing on the element of style. The last chapter is different as it sets no hard and fast rules but general guidelines. The book is useful, though some elements are outdated, but as the author declares, but to paraphrase, words change, as do some spellings, though some get fixed in concrete whilst others become obsolete or look out of place as language is always in a state of flux. The book is one in which you read a few pages or a little more and then digest what you have read. It is more of a slow feast rather than a fast-food takeaway as it takes time to absorb. There is a good section on commonly misused words such as: cope and copes, lend and loan, disinterested and uninterestedetc. The book also includes many sentences of correct and incorrect composition. Just remember that all the examples on the right hand side are correct, and those on the left are incorrect - if you forget this juncture, you're in trouble! English is the most fascinating of languages. A mixture of all languages and cultures with which it has contact. No wonder it is difficult to manage. From junior high to Graduate or professional school, if you write, you NEED this book.It's a classic, and when I taught at the university level, I always urged students to have a copy.It contains information for writing a paper or thesis at any level, on any subject. I will not comment too much on the content of this book - I believe that there is already substantial evidence that the content is valuable and although some may say that it is common sense, I am amazed as to how many people and writers make the simple and basic mistakes that the book points out.I bought this book to write essays for graduate schools and the principles have already proven helpful and insightful. A quick note on the physical aspects of the book - as another reviewer pointed it, the pages do look like they were photocopied and the font type looks old-fashioned.However, for a price point of $3, there is little to complain about and if you want a better looking book (with the same content), just search for the more expensive versions of this book on Amazon. All in all, I would highly recommend this specific version of the book if all you are looking for is the solid writing principles that the book provides. I recommend the read especially if you are thinking of writing or are taking a writing course. Thank you! This was the wrong edition for the class my son to use.It looked like it had been photocopied with most of the pages being very faded looking. 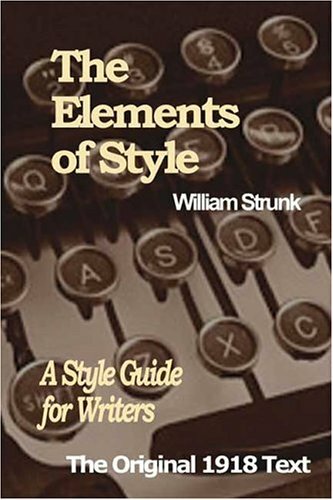 The Elements of Style is concise, direct, and comprehensive in its treatment of the rules of apposite writing.The book includes an overview of conventional rules; commas, conjunctions, independent clauses, and proper sentence and paragraph forms. This was not what I was looking for...I needed some help with punctuation and this didn't have it. Clarity, brevity and style. A little masterpiece. In our age of sloppy TV captioning, txt and other loose applications of our language and grammar there is something of a revival (perhaps it is a backlash) for books on grammar and the art of writing. Already EATS SHOOTS & LEAVES has made the best-seller lists, and now we're seeing a repackaging industry forming around Strunk's ELEMENTS OF STYLE. Last December the gorgeous illustrated 4th Edition was published in hardcover, and now we have the reprint of the 1918 first edition. Which is the best choice? First, I'd eliminate EATS SHOOTS AND LEAVES from consideration. 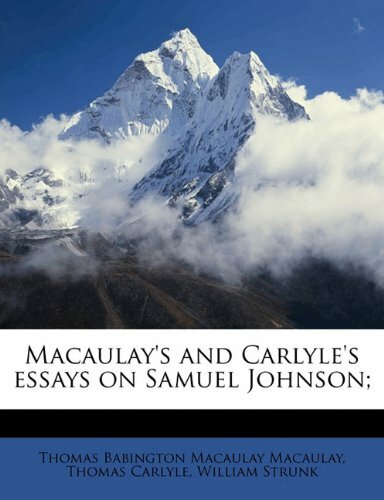 It is a pretty sniffy volume, and I was utterly worn out by the author's hyperactive style of prose. Also, the review in New Yorker fairly pointed out at least a dozen faux pas made by the author. Worse, I detected in that volume the peculiarly English propensity to equate decent grammar with class consciousness. ES&L carries an unpleasant whiff of snobbery that detracts from the discussion. Despite its age, this 1918 book still has immediacy and relevance because the focus is on brevity, clarity and the fine art of telling the story without distractions and frills. In that sense it is a thoroughly modern volume that recognises that we needn't over-decorate our sentences in order to make our point and to paint our pictures. The rules of grammar laid down here are still true. Yes, it shows some signs of age. Nevertheless I can happily recommend this volume, though I prefer the updated Strunk & White edition for my day to day reference. It was revised for a reason. Even so, either edition deserves to live by your computer, or to dwell on the desk of your kids. And I hope you wear out your copy: this is a tradition for owners of this simple, direct masterpiece. I first encountered Strunk and White's 'Elements of Style' when I was an undergraduate, and I have been a fan of this book ever sense. 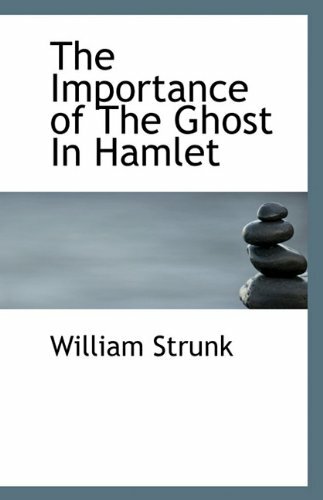 Perhaps it is because of the excellent teamwork that is apparent on the pages between the master of language, William Strunk, and the master of narrative, E.B. White. How can you go wrong learning grammar from the likes of the author of such wonderful tales as Stuart Little? During my English composition class as an undergraduate, we had to read this book twice, once at the beginning of the term, and again at the end. I have since referred to the pages so often that I am on my fourth or fifth copy, as the binding and pages have worn out from use. 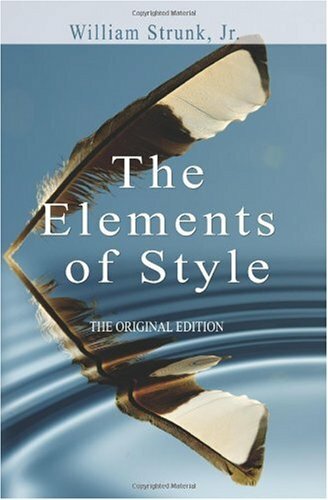 Long before books such as 'Woe is I' or 'Eats, Shoots and Leaves', this book, 'The Elements of Style' has held a certain pride of place in being useful, accessible and interesting in its presentation of a traditionally and typically boring subject - grammar and usage. Among the pieces I re-read on a frequent basis is the list of commonly misused or abused words and phrases. Here is a list of easily corrected mistakes that the typical writer and speaker needs to keep in mind. Also, the suggestions for composition are gentle reminders that creativity and good craftsmanship need not be contradictory. 'Elements of Style' has been such a popular book that it has undergone several revisions, and has been in print for a very long time.However, this text brings back the original work, the 'authorised' version, as it were, by which to compare the later revised and new revised standard version.If I am making this sound like a work of biblical stature, you may be on to something - just as people swear on the Bible in courts and to take oaths, there are many who swear by this text for proper command of the English langauge. Asserting that one must first know the rules to break them, this classic reference book is amust-have for any student and conscientious writer. Intended for use in which the practice ofcomposition is combined with the study of literature, it gives in brief space the principalrequirements of plain English style and concentrates attention on the rules of usage andprinciples of composition most commonly violated. In the preparation of this work the writer has kept one end in view, viz. : To make it serviceable for those for whom it is intended, that is, for those who have neither the time nor the opportunity,the learning nor the inclination, to peruse elaborate and abstruse treatises on Rhetoric, Grammar, and Composition. I think this is a great book for anyone that needs help with grammar, I have it bookmarked in several places. It's an essential for all aspiring authors. This book is a concise reference book stating plainly what is acceptable and what is not acceptable.Small enough to be read throughly, and yet broad enougn in its coverage to allow the reader to feel prepared for upcoming writing events. 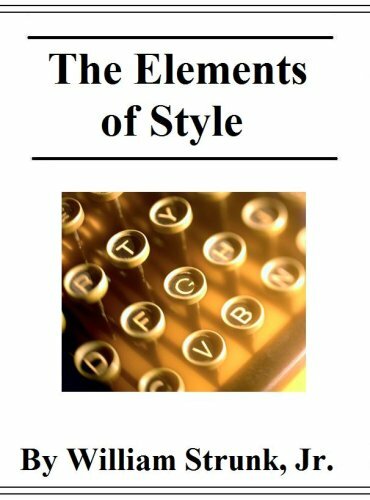 "The Elements Of Style and How To Speak And Write Correctly" arrived late along with numerous deficiencies. This inferior product omitted the glossary, index, edited out important examples and in general diluted the quality of this classic. How is any student and/or conscientious writer supposed to find information without an index in either of the books? Wrote a letter to the supplier regarding the above deficiencies--No reply after almost 2 months. The Elments of Style t is one of the most influential and best-known prescriptive treatments of English grammar and usage in the United States. Countless writers have cited it as one of the most important books they have ever read. This book, printed as a private edition for the use of his students, became a classic on the local campus, known as "the little book", and its successive editions have since sold over ten million copies. 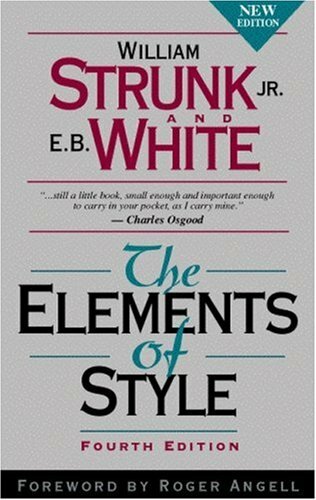 This is the original, out-of-copyright "Elements of Style," not the updated version by Strunk and White.Very disappointed with this purchase. There are better Kindle editions out there. This one does have linked TOC but it is layed out weirdly. For one thing, it doesn't link back to the TOC from inside the book. For another, there is one main TOC with just the chapter headings and each chapter has its own more detailed TOC. Not very useful. The words wrap nicely but would benefit from better spacing and bullet points around examples. Not bad but there are better editions.